Hannah Arendt’s penetrating observations of the modern world, based on a profound knowledge of the past, have been fundamental to our understanding of the political landscape. On Revolution is her classic exploration of a phenomenon that has reshaped the globe. 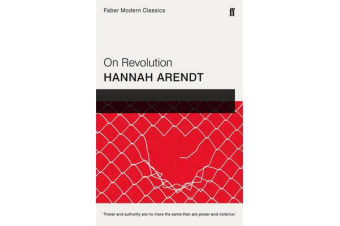 From the eighteenth-century rebellions in America and France to the explosive changes of the twentieth-century, Arendt traces the changing face of revolution and its relationship to war while underscoring the crucial role such events will play in the future. Illuminating and prescient, this timeless work will fascinate anyone who seeks to decipher the forces that shape our tumultuous age.